This is the Carzone.ie used guide to buying the first-generation Mitsubishi ASX. Mitsubishi launched the ASX in 2010 to capitalise on the boom in crossovers, making the vehicle look like a shrunken 4x4, rather than the two generations of Space Runner MPV that preceded it. As it is already a long-serving car, the ASX has been through two rounds of updates, the first coming in 2015 when a new diesel engine was drafted in and another in 2018 to give the car a freshly-designed front end. The ASX is sturdy and reliable, although it’s not hugely stylish – and as it competes in the hotly-contested and image-conscious B-segment crossover market, that’s a bit of a problem. There has always been a simple-to-understand line-up of ASX models in Ireland. Here, we don’t officially get either all-wheel drive or an automatic gearbox, unless 2.2-litre cars have been imported from the UK. So, all ASXs are front-wheel drive and manual, with a normally aspirated 1.6-litre petrol engine with 117hp serving the model throughout its life. On the diesel side, there was originally a 1.8-litre DI-D four-cylinder unit with 150hp, but that was replaced with a smaller, more modern and Peugeot-sourced 1.6-litre DI-D turbodiesel with 114hp in 2015. Petrol cars have a five-speed gearbox, while the diesels are equipped with six-speed transmissions. 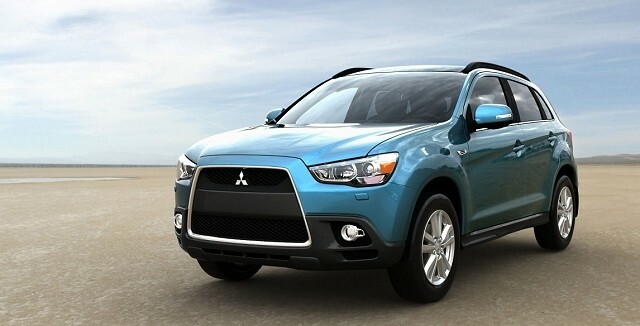 Trim lines were originally also Instyle and Intense, but now Mitsubishi only sells the ASX in one well-equipped specification under the Intense moniker. Realistically, we don’t often recommend diesel over petrol power unless you do high mileage per annum, but with the ASX, the diesel makes more sense. Even though it has less power, the diesel has much more torque so it is far better to drive in daily traffic conditions. It’s also a lot better on fuel, while its six-speed manual gearbox makes it more refined at cruising speeds. The Mitsubishi ASX is a no-nonsense compact crossover in a marketplace awash with more obviously stylish and youth-oriented products. While it does nothing particularly wrong, the ASX also isn’t very memorable in any single regard and it’s therefore a vehicle that’s simply there making up the numbers in a competitive automotive class. One final selling point, though, is the eight-year/150,000km warranty Mitsubishi offers on all of its cars in Ireland.